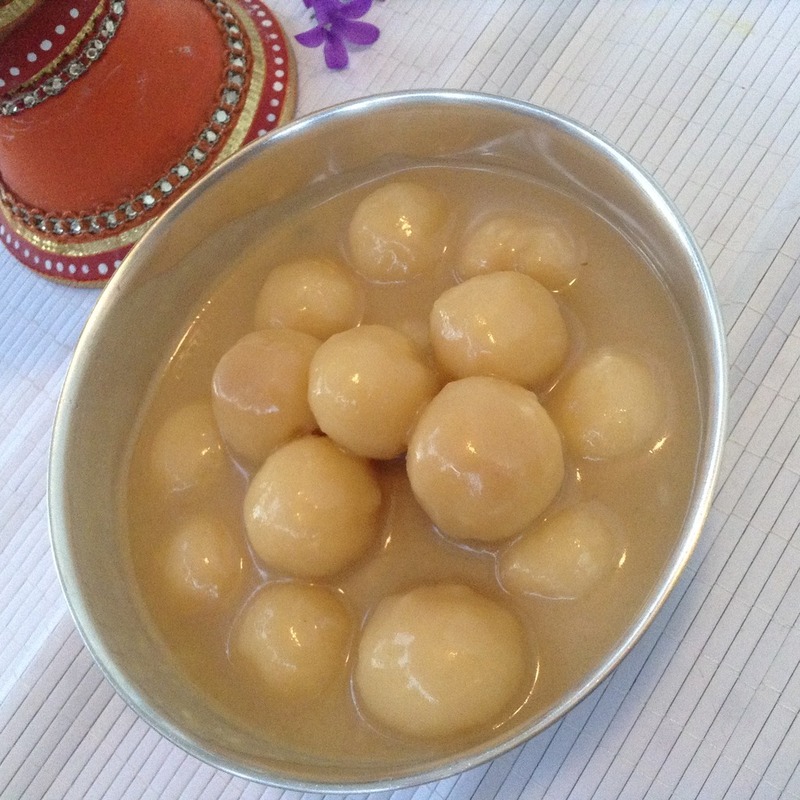 Paal Kozhukattai is my childhood favourite payasam. This Chettinadu sweet dish is traditionally prepared using jaggery and coconut milk. Instead, we can substitute with regular sugar / brown sugar and milk. Either way it taste great. 1. Soak the rice for 3 hours and grind them using one cup of water to smooth paste. Add a pinch of salt while grinding. 2. 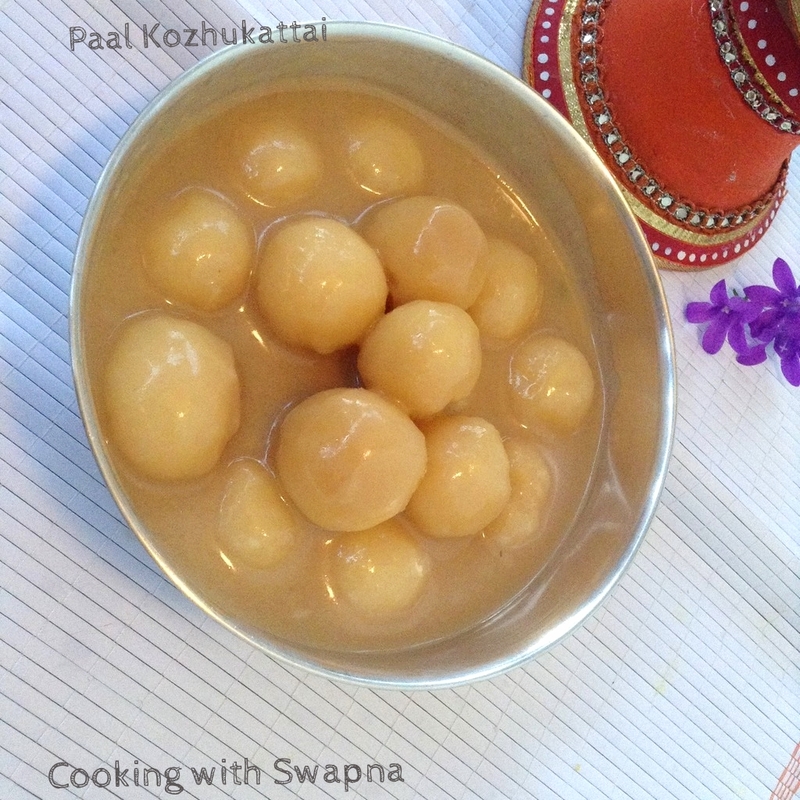 Transfer the rice paste, coconut grated in the heavy bottomed pan and add another cup of water and a tsp of ghee. Keep stirring until it forms a dough consistency. Switch off the flame. 3. When the dough is warm, make small balls out of it and keep aside. 4. 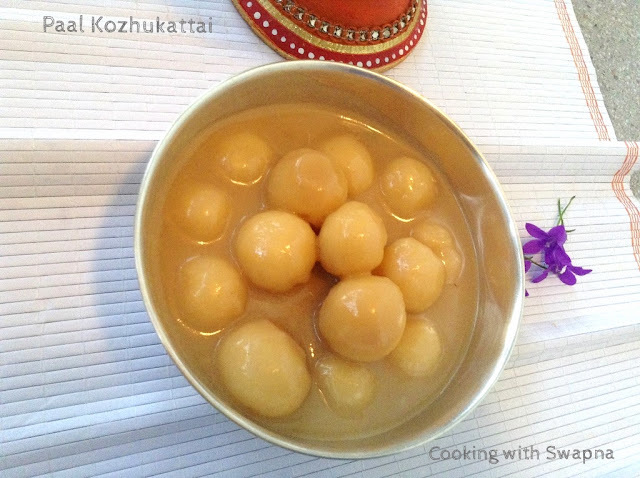 In a heavy bottomed pan, bring thin coconut milk and brown sugar to boil. Add the rice balls and cook for 5 mins. Gently stir the cooked rice balls and simmer the flame once done. 5. 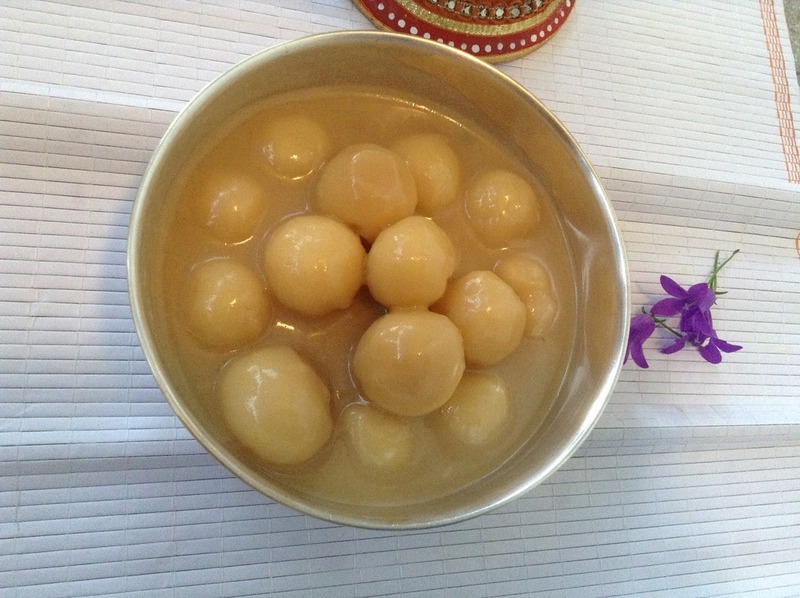 In a separate pan, dissolve the jaggery in the hot water and filter them. 6. 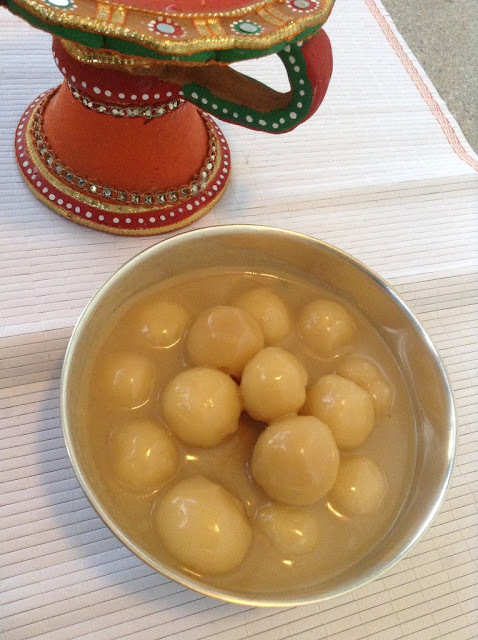 Now, add the jaggery water in the cooked rice balls and cook them till done (around 5 mins). 7. Finally, add thick coconut milk and cardamom powder and switch off the flame.